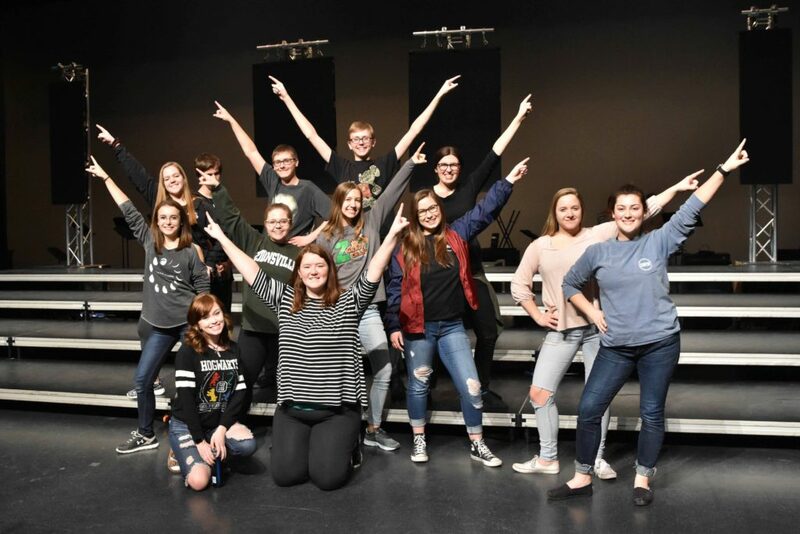 If you are looking for a way to be involved with the crew that is not through the musical or play, show choir crew is certainly something you should consider! As a member of the crew you will be committed to helping the show choirs before and during their competition season. This spans about a three month commitment that includes participating in both Choralaire and Royalaire rehearsals as well as multiple weekend all-day competitions. One has to be willing to performing various physical tasks, including moving sets both on and off stage as well as other needed activities such as helping with costume changes and/or microphone transitions. The crew definitely develops a sense of community, not just with the members of the crew itself, but with the show choir members. The competition days may be long, but joining the crew is a fun and totally worth-while experience!